The Crafts Council of Ireland a running a seminar on how to write about your craft. ‘Communicating Your Craft’ is a seminar designed for craft makers, focusing on the importance of concise and relevant writing in statements and proposals. In place of the object and in support if it; the written word is a primary tool used to explain, contextualize and promote craft practices within catalogues, articles, websites, exhibitions and in funding applications. Organised by Crafts Council of Ireland in association with National Craft Gallery, this seminar aims to support you in effectively communicating your craft. Participants are asked to submit a recent statement prior to the seminar. Mette Roche (member of Feltmakers Ireland) is part of the Meath Arts Group and is taking part in “Missing Meath” an exhibition of work opening on Saturday 12th Jan at 2pm. 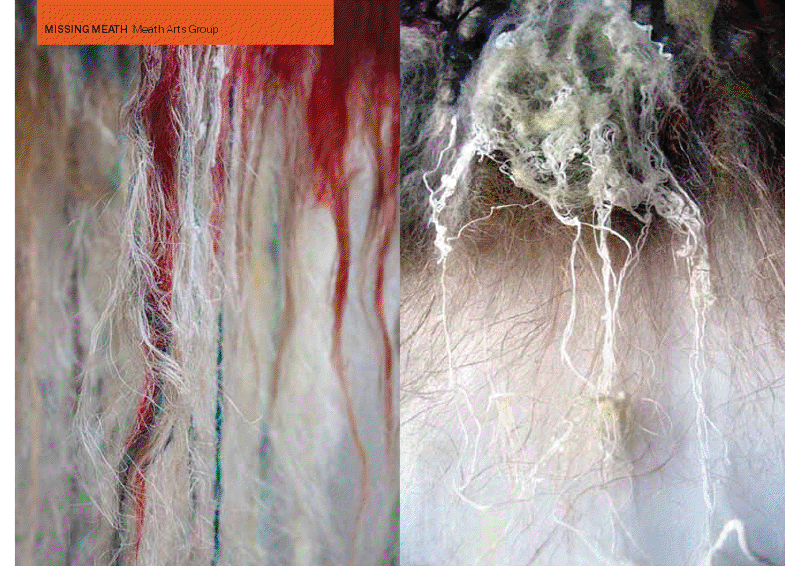 Here are details one her installations of felted panels incorporating loom bobbins and spun wool thread. I hope you received your copy of the Winter 2012 magazine in the post – in the midst off all the Christmas preparations Gina Faustino did a fantastic job with all the lay out, printing and posting. We welcome comments and contributions from everyone (please email sheilaahern@gmail.com). 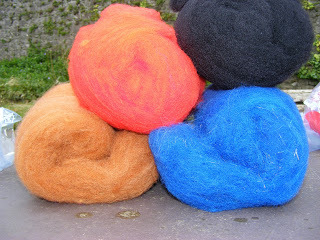 In May 2013 Feltmakers Ireland will be 10 years old and we have lots of interesting events in the pipeline. We are working on our annual Basic & Beyond workshop on January19th, a Play Day on 2nd February, which will explore the work we did with Judit Pocs, and the next Sunday Session is scheduled for February 10th. More details to follow. Annual membership is due now so please send you renewals to Holly Angle membership application feltmakers ireland 2013 . We are looking forward to seeing you soon.